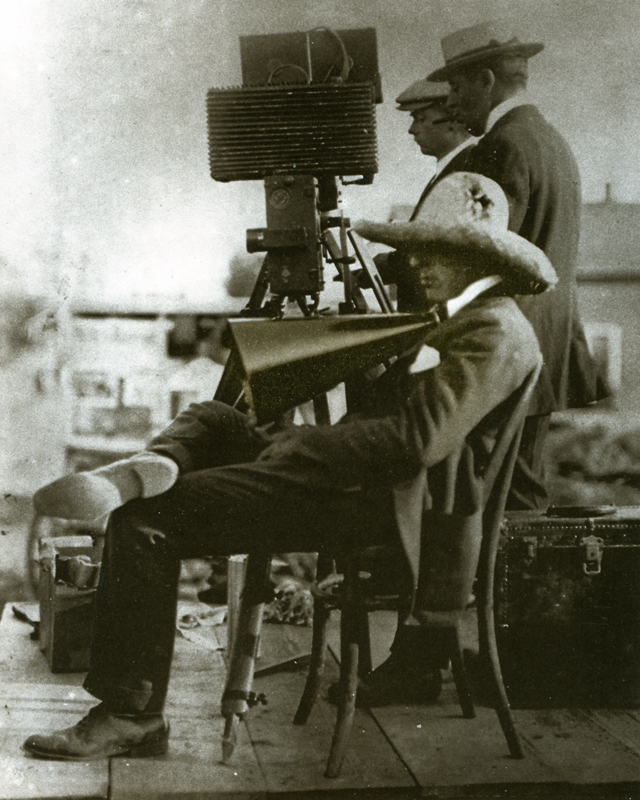 D.W. Griffith was the first film director who became a superstar in the world of cinema in his day. Although he may not have invented things like close-ups and certain concepts of editing, he was able to exploit them and reinvent them into something that today is prevalent in every film, short or feature. 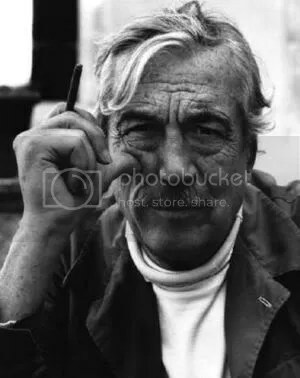 Despite being known as “racist” or “controversial” there is no denying what an extraordinary filmmaker he was, and at the end of the day that is what he should be known for. A true artist in the world of film, Griffith’s contributions to cinema are infinite and today we applaud him for shaping the mold of what filmmaking should always be – a superior art form. The thing that really separated Griffith from other short filmmakers during his time at Biograph was his ability to recognize short film was not the same as a feature, therefore they should not be made in the same way. A short film has a slightly different narrative structure than a feature. Everything has to be set up rather quickly, but Griffith always made sure not to rush the narrative of the stories he was trying to portray. Instead, Griffith would telescope the action to fit within one reel so that he would shorten the story with a title card or narrative device. It was even reported that Griffith would often insist that the cameraman crank slower so that he could fit more scenes into the film. His style of photography also differed greatly from others at the time. While his staging had great depth, it was usually filmed with a more narrow scope – creating what seemed to be a crowded scene with only just a few actors. You can see a good example of this in his 1912 short, Musketeers of Pig Alley where Griffith strings the camera away from the actors but uses a camera angle that makes it seem like there are quite a few people in the shot. He often only showed rooms from one camera angle to trick the audience into thinking that the room is larger than it actually was. Another new trick introduced during Griffith’s reign at Biograph was the use of intertitle/intertext cards. These cards acted as guides to tell the viewer what actions were about to occur. For example in The Burglar’s Dilemma, written by Lionel Barrymore these cards are used so that Barrymore’s message was not lost in translation and the point of his film would definitely be made. They were created to ensure that the viewer would not interject their own story line, but rather fully comprehend the one on the screen in front of them. Sometimes the cards would telegraph actions that would soon follow and at other times show the dialogue that was spoken in the middle of the next scene. They did not necessarily move the story forward, but explained what was going on with the characters. At other times they were almost used as chapter headings in a book so the viewer could infer their own ideas, but still relatively know what was going on. A third tactic that Griffith made famous was his use of eye-line match on film. This new film technique was really beneficial in the world of cinema, because it helped to deeply invest the viewer in what they were following on the screen in front of them. To better explain eye-line match, here is an example; when the character looks to the right, it indicates that the next scene takes place to the right of the current scene. This concept, first introduced by Griffith during his days at Biograph is also known as the notion of lapse of time. He also at this time introduced the notion of connecting film continuity and space, making the shorts as seemingly fluid as possible. Griffith was so dedicated to the idea that a film should have great continuity, that he shot scenes in the order of which they would be shown in the narrative, something that was and still is rare in directing today. He works in the following order: A scene may represent a room in a country home. A son is saying goodbye to his mother; he is either going away to war or going to the city to make good. There is, of course, a tearful parting. Now the average director will refer to his script and note that the scenario writer has given him, say, twelve different shots, including close-ups, long shots and semi-closeups in which to get the “goodbye” scene over and done with. Griffith believed that the man who works directly from a continuity was much more dedicated to his own work, rather than that of a script writer and that in order to truly be an artist he had to create his own stories instead of merely translating somebody else’s. That idea and true artistic sense is what set Griffith apart from other filmmakers. Film critics often consider Birth of a Nation as the quintessential Griffith film. However, Griffith was at one time valued for a range of other films (often shorts) that exemplify his deep artistic talent for film as a superior form of media. In the summers between 1908 and 1913, while working for the Biograph Company in New York, Griffith wrote, produced and directed some 450 shorts. Many acknowledge these shorts to be the foundation that paved way for many feature length films. Ranging in length between 1 and 30 minutes, these shorts introduced new ways of story telling and filmmaking – earning Griffith the nickname “the pioneer” of cinema. As we approach a new millennium, the time is right to create a new ultimate honor for film directors that better reflects the sensibilities of our society at this time in our national history… There is no question that D.W. Griffith was a brilliant pioneer filmmaker whose innovations as a visionary film artist led the way for generations of directors. However, it is also true that he helped foster intolerable racial stereotypes”. Despite preconceived ideas that people may have of Griffith as a filmmaker, prior to Birth of a Nation Griffith wrote, produced and directed a slew of short films that attempted to spread a positive message of race, class and gender as well as perfect film techniques such as close-ups, long shots, panning, and moving camera shots that modern day directors still use in order to tell their stories. To see for yourself watch Birth of a Nation at hulu.com! Recognized throughout the world as the single most important individual in the development of film as an art form, D.W. (David Wark) Griffith is known today as “the father of film technique”, “the man who invented Hollywood” and “the Shakespeare of the screen”. In his long career Griffith crafted over 450 films and caused quite a bit of controversy. Today he is seen as one of the most hated and most revered man in cinematic history, however there is no denying that he forever shaped the way we view cinema today. Directed by Ahmed Imamovic, Ten Minutes is considered the best short film in Europe. With a running time of, well just about 10 minutes – the film explores simultaneous storylines. One of a tourist in Rome, Italy and the other about a young boy named Memo in Sarajevo, Bosnia. The short begins when the tourist sees a sign on the street to a photo shop that reads “We deliver film in just ten minutes” – excited by this proclaimation he goes inside and tells the clerk to go ahead and process the film while he goes out to have a cigarette. The film then switches gears to Sarajevo in 1994, a time when the entire city was a war zone. Memo and his family are stuck in the middle of this and living conditions are not easy. They even have to wait for a truck to come and deliver bread just to procure food of some sort since at this time no food was coming in and no food was going out of the country. So, one day when Memo goes out to recieve the bread from the truck total war breaks out, killing his family. Imamovi does such a brilliant job at delivering this story- mainly by using tracking shots to follow the movements of Memo and the use of selective coloring in Sarajevo to show how dark and dismal things really were juxtaposed to the bright and sunny world of the tourist in Rome. It really helped the viewer better understand just what was happening in Europe at this time. Also the way the director used a lapse of time to show the tourist step out for a smoke break and then cut to what was going on in Sarajevo really showed just how much can happen in just 10 minutes time. I am not sure if it is the “best short in Europe”, but it certainly does a great job at exploring how Europe is so diverse that in one country it takes ten minutes to develop film and in another a war can destroy your whole family. A very powerful and touching film. Please check it out (above). The second film was an 8 minute short (how appropriate) by Mira Nair titled How Can It Be, a film that explored goal # 3 of gender equality. The film, based on a true story explores a woman who is no longer in love with her husband and wants out of the marriage – however he fights her about it and continuously tries to make her stay. When he finally caves and allows her to leave she must tell her son that she is leaving. This is the first time “How can it be” is made prominent in the picture. The phrase then continues throughout the entire short, the son even writes it on the wall in a spiral shape – signifying, I think the fact that is life is spinning out of control in a way that he did not seem fit. The viewer although sad for the son, is able to sympathize with the mother because she is the one that sacrifices everything, her entire world for a chance at freedom. For more information on these shorts please visit the 8 No Time Left website !